A clean email marketing list creates a better chance for campaign delivery results. Our experts at DatabaseUSA.com® can help you with your list hygiene & deploy your email campaigns. 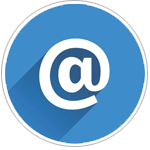 Email list hygiene is the process of removing bad email accounts from your email files. Email list hygiene is essential in order to maintain high deliverability rates and a positive reputation. Email list hygiene also results in few spam complaints. Hard Bounces: emails that have been returned to sender. Reasons for hard bounces are: invalid email address, domain name doesn’t exist or the recipient is unknown. Soft Bounces: emails that have reached the recipient’s mail server but bounced back undelivered before reaching the recipient’s inbox. A soft bounce will also occur when the recipient’s inbox is full. Cleansing your email marketing list. Complete the form or call us at 877.407.0101 for more information on our Email List Cleansing & Hygiene Services.